Ethernet SNMP and Web based 8 SPDT relay module optimized for temperature measurement. Additionaly it has 8 bit TTL I/O port and 8 x 10 bit analog inputs for temperature sensors or 0-10VDC. The device is suitable for home automation, industrials, temperature measurement via Internet/Ethernet or remote management and control of electrical devices. We provide SDK for Windows and Linux. Works with Domoticz and OpenHAB home automation systems as well as with Node-RED IoT platform. Now with FREE Android and iOS App! Five channel Ethernet relay card based on DAEnetIP4 snmp IP controller. Supports independent weekly schedule for up to 30 events without connection to computer. Control it from web browser, DRM software, command line tool, free Android and iOS App and others. Flexible for integration. For developers we provide software examples in Java, .NET, Labview, PHP. Works with Domoticz and OpenHAB home automation systems as well as with Node-RED IoT platform. 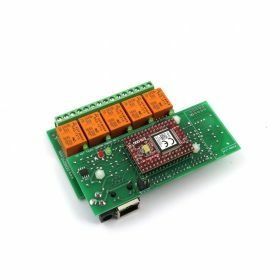 The relay card can be used for home automation, industrials, sensor monitoring or embedding in larger systems. This is the DIN Rail Box version. Five channel Ethernet relay card based on DAEnetIP4 snmp IP controller. Additionaly it supports 8 digital outputs, 8 digital inputs, 8 analog inputs plus 2 PWM outputs. Control it from web browser, DRM software, command line tool, free Android and iOS App and others. Flexible for integration. For developers we provide software examples in Java, .NET, Labview, PHP. Works with Domoticz and OpenHAB home automation systems as well as with Node-RED IoT platform. 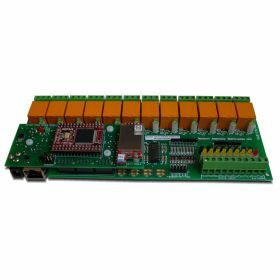 The relay card can be used for home automation, industrials, sensor monitoring or embedding in larger systems. This is the PCB ONLY version. 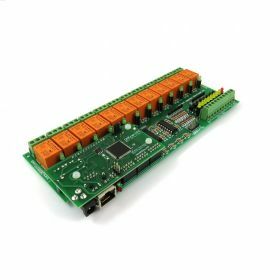 The next generation Ethernet SNMP and WEB relay I/O module based on DAEnetIP4 with 12 SPDT relays (up to 15A), 8 ADC inputs (0-10V) and 8 digital inputs (0-12V) plus 2 PWM outputs (0-3.3V). With its built in real time clock and individual pulse timer for every relay it is suitable for controling electrical devices and monitor different sensors from the ethernet network, orginze thermoregulators or home automation applications. 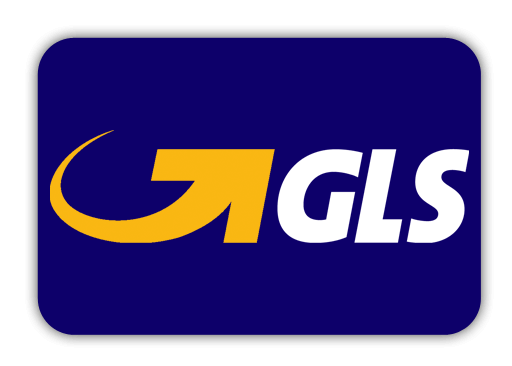 It can be accessed locally (LAN) or remotely (Internet,WAN) via web browser, computer software or smartphone. We provide various software examples for easy integration in your code. Works with Domoticz and OpenHAB home automation systems as well as with Node-RED IoT platform. Now with FREE iOS and Android App! 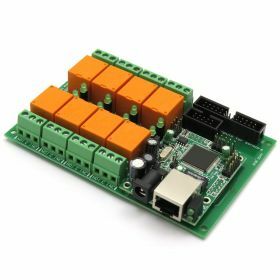 SmartDEN IP-16R is a LAN relay module with 16 SPDT relays for remote control with integrated web server for set-up, snmp-v1 and http get, xml and json requests support for embedding in other systems. The built-in real time clock allows to organize schedule stand-alone work without connection to computer. Suitable for industrail and home automation applications, irrigation systems and network watch-dog systems. Works with Domoticz and OpenHAB home automation systems as well as with Node-RED IoT platform. Supported by DRM Software, DAE-aModules Android App and DAE-iModule iOS App plus many source code examples. This is the PCB version. SmartDEN IP-16R is a LAN relay module with 16 SPDT relays for remote control with integrated web server for set-up, snmp-v1 and http/xml/json support for embedding in other systems. The built-in real time clock allows to organize schedule stand-alone work without connection to computer. Suitable for Industrail and Home automations, irrigation systems and network watch-dog systems. Works with Domoticz and OpenHAB home automation systems as well as with Node-RED IoT platform. 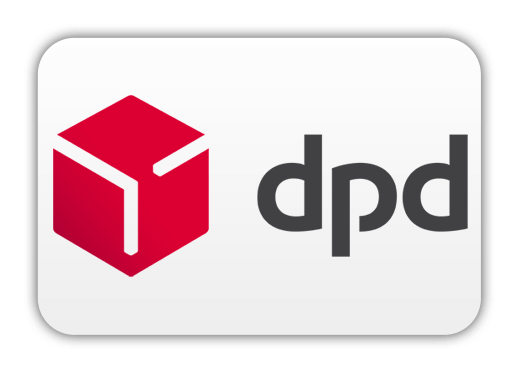 Supported by DRM Software, DAE-iModule iOS App and DAE-aModules Android App plus many source code examples. This is the version with DIN rail box. 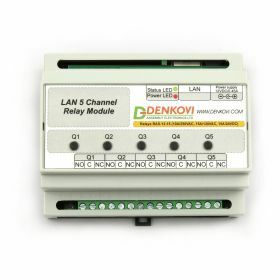 Ethernet relay card - five channels controlled by LAN. 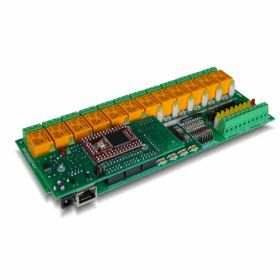 Based on DAEnetIP3 Ethernet IP controller which adds also 8 additional digital outputs, 8 analog inputs, 8 digital inputs and 1 UART port. 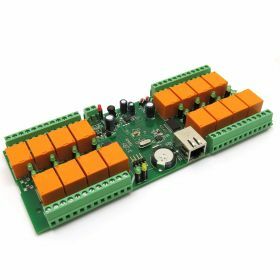 With this card it is possible to control up to five independent electrical appliances. 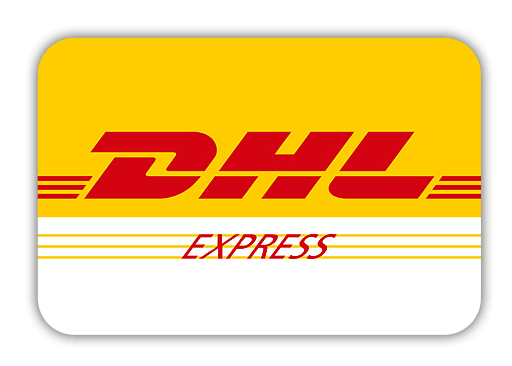 Supports TCP/IP protocol, HTTP API, Telnet, serial communication. 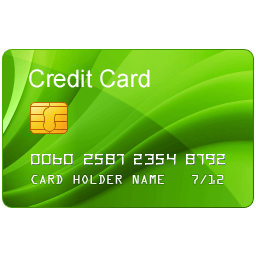 It is possible to control the card via desktop software (DRM), via integrated web server (web browser), via FREE iOS and Android App, via command line utility and many other third party applications. Works with Domoticz and OpenHAB home automation systems as well as with Node-RED IoT platform. Can be used in Home Automation, Industrials, Robotcs. 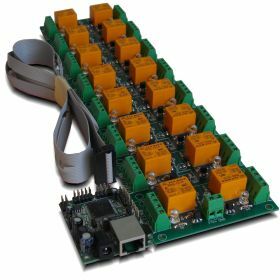 IP relay board with 16 SPDT relays (up to 15A each). Additionaly 8 analog inputs are avilable for various sensors. You can connect the board localy or via Internet and control it via computer software, web browser, command line, android mobile device. Easy to integrate in your code with our software examples. Works with Domoticz and OpenHAB home automation systems as well as with Node-RED IoT platform. Now with FREE Android and iOS App! Ethernet IP Relay I/O module for remote management and control with Virtual Serial Port, TCP/IP, Web, HTTP API, Telnet, SMTP (E-mails). It has 12 SPDT Relays (up to 15A), 8 digital inputs (0-12V), 8 analog inputs (0-10V) and one UART port (3.3V). Inputs can be adjusted to control relays (standalone mode) or control outputs of another over the LAN/WAN (box-to-box mode). Relays can be set on daily basics schedule. 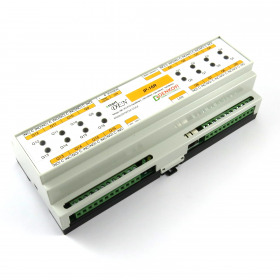 Suitable for remote control, home automation, data acquisition, sensor processing, alarm systems, PLC applications. Works with Domoticz and OpenHAB home automation systems as well as with Node-RED IoT platform. Now with FREE iOS and Android App! Wi-Fi IP Relay I/O module for remote management and control with Virtual Serial Port, TCP/IP, Web, HTTP API, Telnet, SMTP (E-mails). It has 12 SPDT Relays (up to 15A), 8 digital inputs (0-12V), 8 analog inputs (0-10V) and one UART port (3.3V). Inputs can be adjusted to control relays (standalone mode) or control outputs of another over the LAN/WAN (box-to-box mode). Relays can be set on daily basics schedule. Suitable for remote control, home automation, data acquisition, sensor processing, alarm systems, PLC applications. 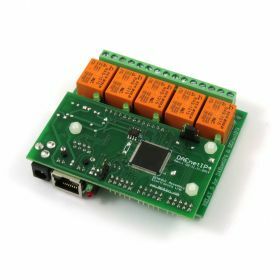 Works with Domoticz and OpenHAB home automation systems as well as with Node-RED IoT platform. Now with FREE iOS and Android App!